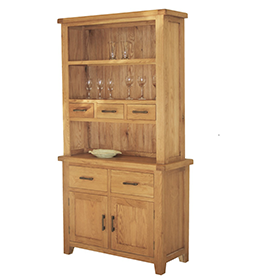 The Salisbury Lite Range offers everything the Salisbury Range does but with smaller dimensions - Our Salisbury Lite Slim Bookcase has a lightly distressed finished give this furniture item a warm rustic charm that only oak furniture can offer. The Salisbury Lite Slim Bookcase represents outstanding value for money. The Salisbury Lite Slim Bookcase is delivered fully assembled. Full matching dining & living ranges available to order.